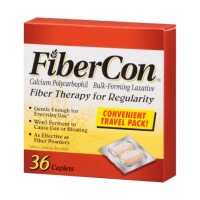 Heading Fiber therapy for regularity. Directions Take each dose of this product with at least 8 ounces (a full glass) of water or other fluid. Taking this product without enough liquid may cause choking. See choking warning. 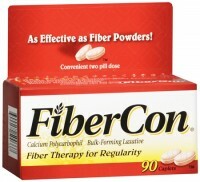 FiberCon works naturally so continued use for one to three days is normally required to provide full benefit. Dosage may vary according to diet, exercise, previous laxative use or severity of constipation. 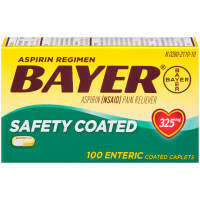 Adults and children 12 years of age and over: Recommended Dose: 2 caplets once a day. Daily Maximum: Up to 4 times a day. Children under 12 years: Recommended Dose: Consult a physician. 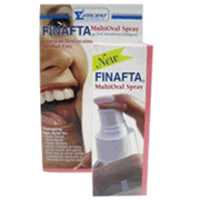 Uses Relieves occasional constipation to help restore and maintain regularity. This product generally produces bowel movement in 12 to 72 hours. Gentle enough for everyday use. Won't ferment to cause gas or bloating. As effective as fiber powders. Warnings Choking: Taking this product without adequate fluid may cause it to swell and block your throat or esophagus and may cause choking. Do not take this product if you have difficulty in swallowing. If you experience chest pain, vomiting, or difficulty in swallowing or breathing after taking this product, seek immediate medical attention. Ask a doctor before use if you have: abdominal pain, nausea, or vomiting; a sudden change in bowel habits that persists over a period of 2 weeks. Ask a doctor or pharmacist before use if you are taking any other drug. 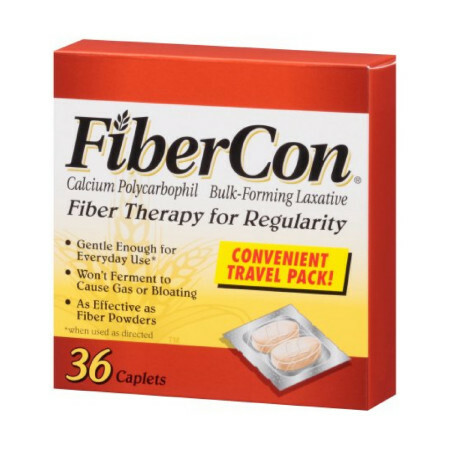 Take this product 2 or more hours before or after other drugs. All laxatives may affect how other drugs work. When using this product: do not use for more than 7 days unless directed by a doctor; do not take more than 8 caplets in a 24 hour period unless directed by a doctor. Stop use and ask a doctor if rectal bleeding occurs or if you fail to have a bowel movement after use of this or any other laxative. These could be signs of a serious condition. Keep out of reach of children. In case of overdose, get medical help or contact a Poison Control Center right away.